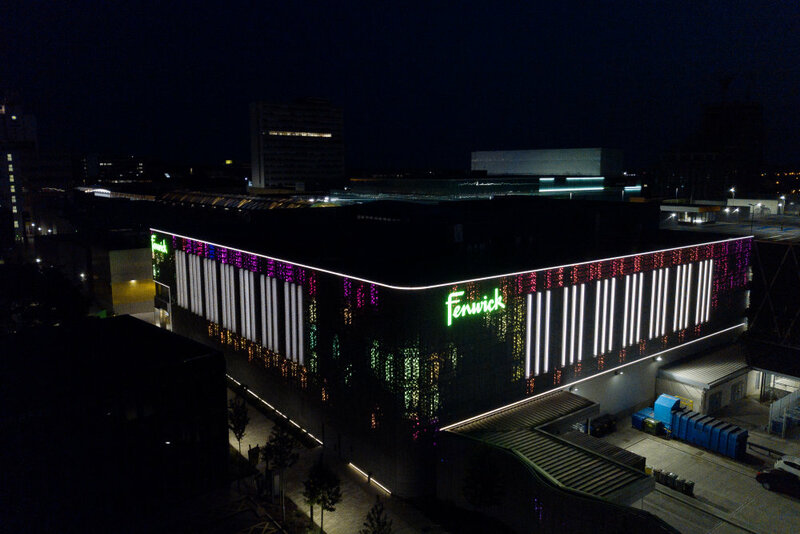 The plan of presenting the facade of the new Fenwick department store in Bracknell, UK in the best possible light at night was implemented using RGBW lighting solu-tions from OSRAM and a professional Traxon lighting control system. After sunset, Fenwick's facade has since been captivating spectators with a wide variety of light-ing effects and lighting scenes matched to individual seasonal events. The Fenwick’s department store is located in the heart of Bracknell’s new Lexicon shopping center. The 93,000 m2 Lexicon center is part of a major £240m redevel-opment of the town. 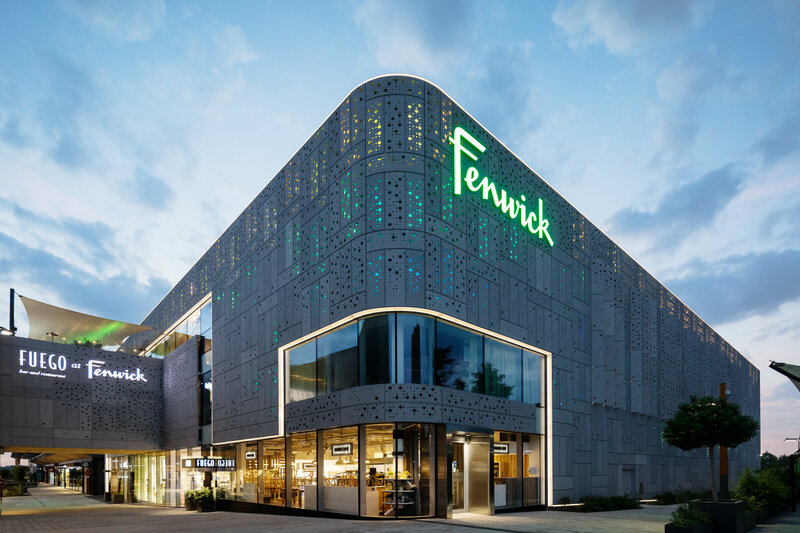 During the day, the perforated modern facade of the Fenwick’s store with its attractive irregular patterns designed to create dappled light, is extreme-ly eye-catching. However, the aim was to extend this eye-catching element to also attract shopping center visitors at night. To achieve this, plans included illuminating the facade with color changing LED light strips which can be individually pro-grammed for any event at any time, “This allows the façade to become a media can-vas on which dynamic lighting effects move across the entire three sides of the fa-çade – such as horizontal rippling and fading”. Commented Andy Holmes, from AC Special Projects Ltd the programming integrator. The client’s desire for dynamic lighting, which not only covers the entire LED color spectrum and creates effects such as light speckles and light waves led to the selec-tion of OSRAM LINEARlight Flex products being used in combination with a Traxon e:cue DMX lighting control system. To enable the façade to project a canvas like appearance the dynamic scenes and custom colors required the capabilities of a DMX lighting control system using Trax-on e:cue components. 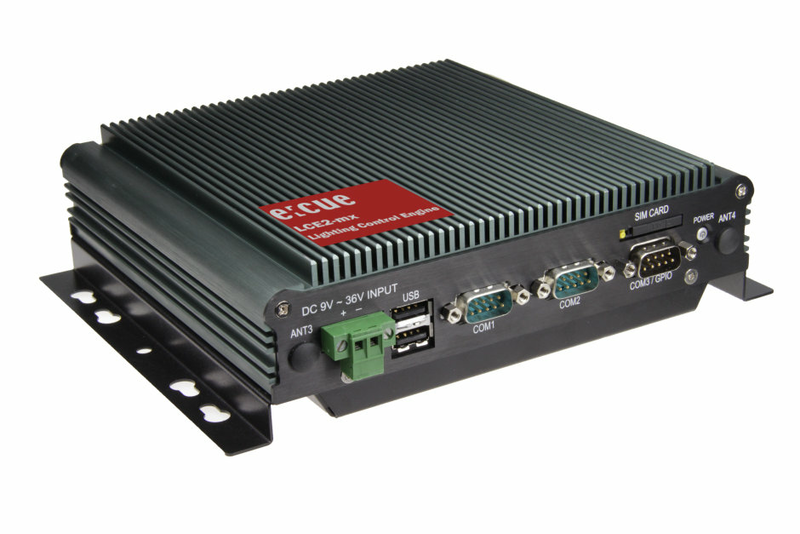 AC Special Projects Ltd – the supplier and programmer of the lighting control system – used e:cue DMX2PWM 9CH dimmers with nine outputs to control several RGB and one white lighting strip. This allows for the brightness and light color of each individual lighting strip to be controlled separately, turning the three sides of the facade into a three-dimensional screen capable of creating dy-namic lighting effects across all three sides. The stunning lighting sequences are achieved with the Lighting Application Suite (LAS) 7, and these can be stored and programmed with the Butler S2 Control Engine. Whether it’s Christmas, New Year's Eve or Valentine's Day– thanks to the products from OSRAM and Traxon, the Fenwick's store in Bracknell can adapt its facade lighting to any season and event at any time, turning it into a fascinating eye-catcher time and time again.